This is a striking piece. It may be a simple piece of furniture but holds an understated glamour. 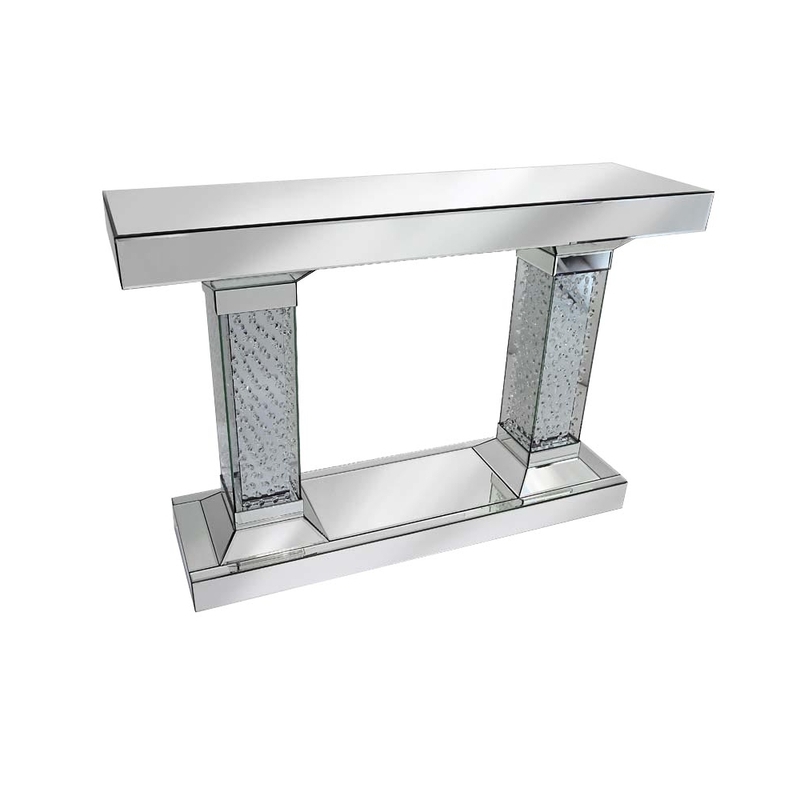 It it a pretty mirrored console table that would bring any room to beauty with its charming features. This table is decorated with glass crystals and is made with a finish of mirrored glass. This is a great piece from the Rhombus range.